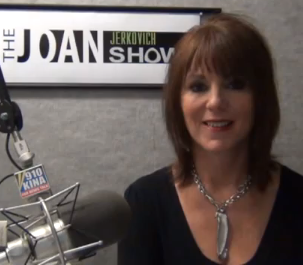 Joan Jerkovich “Your” Life Coach~ No Money for Rent or Food? Home → Life Coaching → Joan Jerkovich “Your” Life Coach~ No Money for Rent or Food? I’m having serious financial problems and am having to choose between paying rent and buying groceries. Due to a strange financial situation, I am not eligible for government assistance. What are some ways I can get help? I wish I knew more about your situation from your question, nevertheless, my heart goes out to you, and sadly, I hear of financial difficulties far too often from my callers. The heartbreaking situations are those people who can’t work due to their health or a disability. That said, I’m a strong believer in people making their own way in life instead of relying on others, society or the government to take care of them. It’s called being a responsible citizen. When your budget is so limited you need to approach this from two directions. Money In versus Money Out. Budgets, simply said, are balancing the money that comes in with the money that goes out. Write down every cent you spend and what you spend it on. Once you’ve done this for several weeks, take a close look at where you might cut back your expenses. Here’s where you might need to make some hard, and heartbreaking, choices. Are you feeding a pet where you can barely feed yourself? Are you supporting an addiction to cigarettes, alcohol or fast food delivery? Do you need to take in a roommate to share the rent? Leave no stone unturned in looking at where you might cut expenses. You need more money to live on, that is a fact. Have you explored all options for getting the government assistance you need? Call your local SRS or search the Internet for options you may not have fully explored. Do you have an affiliation with a church community that can temporarily help you out? Have you looked into ways to make more money such as getting a job or branching out on your own to do childcare or pet sitting? 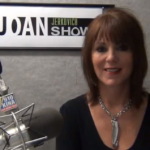 You could apply for a job with “The Joan Jerkovich Show” as a Producer! We have Independent Producers, working from home, all across the country bringing callers to my radio show for a fee (inquire at tjjs.radio@gmail.com). Any small amount you can earn will help, and I’m sure you’ll agree that earning a bit more is much better than sending your beloved pet away to a good home. You have the power to improve your situation. Good luck! What are you willing to work hard at (either finding other assistance or taking a job) so that you can hold on to those things and activities that nurture your spirit? What might you be turning a blind eye to that, if you look at yourself honestly, will tell you why or how you got yourself into such dire straights financially? What can you do to improve your mental or physical health, or kickstart your motivation, to better your situation?